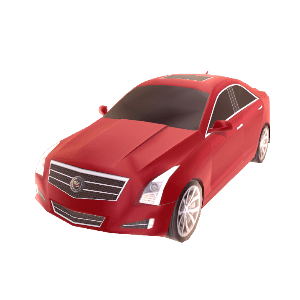 There has been a new ad spotted today on the USA dashboard for the Cadillac ATS that is giving away a FREE Avatar Prop. So far it seems to be US Only, as we have seen reports of people from UK getting Error messages. Let us know if you see it in your country and we will update this. Thanks XBLMaximusNL as always for the Animation! This entry was posted on January 23, 2013 at 1:43 PM and is filed under Avatar Related News with tags Advert, Advertisement, ATS, Avatar, Avatar Awards, Avatar Marketplace, Cadillac, Cadillac Prop, CAR, Dashboard, Exclusive, FREE, Freebie, Gear, Items, New Release, Prop, Rare, Xbox, XBOX 360, XBOX Avatar, XBOX Awards, XBOX360. You can follow any responses to this entry through the RSS 2.0 feed. You can leave a response, or trackback from your own site. It’s not available anymore. I checked all possibilites for it, the ads never had that. You are wrong, we just saw it today… this ad is still available, just hard to get it to pop up. so keep looking. Like M said. Also I bing searched on the dashboard for Cadillac and the ad popped up first try. Thanks!! Got it , after refreshing the dashboard a lot of times! BTW: Does anybody knows when its coming out the last prop from verizon? A FREE AVATAR ITEM ON XBOX DASHBOARD! Look for liquid advertisement.